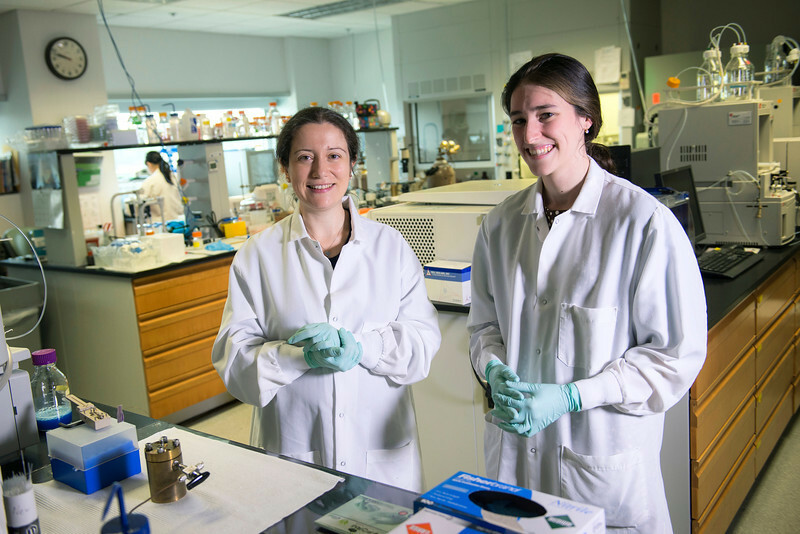 Current Princeton student Temple Douglas (on right), poses with her mentor Alessandra Luchini, Assistant Professor, Applied Proteomics & Molecular Medicine, in the Applied Proteomics & Molecular Medicine lab. Douglas interned with Luchini through the Aspiring Scientist Summer Internship Program. Photo by Evan Cantwell/Creative Services/George Mason University.